Alewife Brewing Company, a Long Island City-based brewpub, will be opening Sunnyside’s first-ever brewery in a 7,500-square foot warehouse on 39th Street and Skillman Avenue, reports Edible Manhattan. 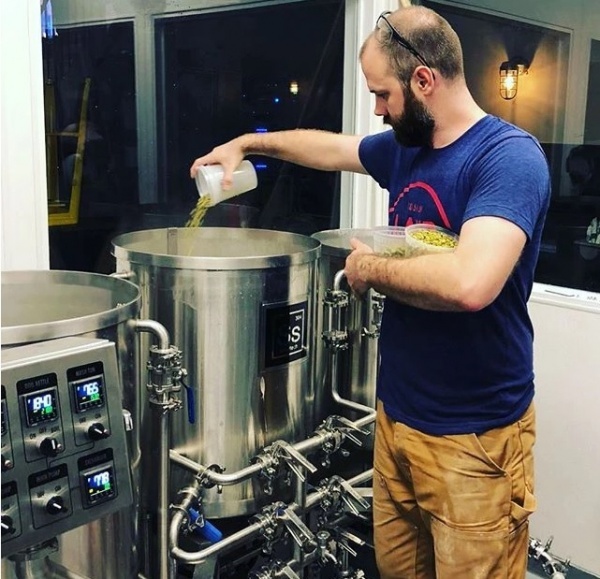 Alewife, which originally opened as a bar in 2011, began producing small batches of brand originals at its Long Island City establishment like “Death to Ego”, “Meadowmaker”, and “Thousand Stars” about a year ago. The Sunnyside locale will be Alewife’s first fully-fledged brewery. Patrick Donagher, the founder of Alewife Brewing Company along with Keir Hamilton, has been working toward opening the brewery for years. The brewing company is an offshoot of the bar. Donagher also runs Alewife, the bar, and three other pubs with his wife, Roz Donagher, in Manhattan: Fools Gold, The Jeffrey, and The Rochard. Can’t wait to get bombed there. Yesssssss! Finally something besides a coffee shop! Can’t wait. We need a coffee shop in the Woodside area after we had lost that one was. At. 45 st queens blvd Please. Brookside Market and Firefly are both within blocks of there and awesome. This is so hypocritical. Amazon is not welcome but brewing company is welcome? This is discriminating against big tax pay companies. This company must shut down and use this building as homeless shelter. Sunnyside people must hate high tech good paying jobs but alcohol producing jobs. How much did Amazon pay in federal taxes? This exactly to type of business we need Local businesses not big corporate companies like Amazon. Let me guess you would like Walmart to come and destroy Woodside . Amazon paid ZERO in federal taxes despite income of $11 BILLION. Feel better now? A great addition to the area, be it Sunnyside or LIC. Good luck guys I will be there! Alright Brett Kavanaugh. Glad to see you haven’t changed. Good to see that the Supreme Court hasn’t changed Brett Kavanaugh. Once a beer lover always a beer lover. So glad to have a local brewery. We lost the Woodside Brewery years ago and it is great to have a new one. JVB is a publicity seeker. Where ever there’s a camera, he’s not far behind. The man would wither without attention. This is exciting news for Sunnyside. The neighborhood has taken so many hits. No negatives, but can’t wait to see the first complainer. Welcome to the neighborhood! And good luck! 39th Street and Skillman Avenue is LIC. They’re right on the border but IN Sunnyside. If the postal address indicates it is on 39th St, or the brewery is addressed as 3900’s (or higher) Skillman Ave, it is in Sunnyside 11104. 3800’s (or lower) Skillman Ave is Long Island City 11101. The building in question resides in 11104. This is great news. I’ve tried several of their beers at the bar in LIC and all were excellent. Tap room would be nice. When does the tasting room open? Thank god it’s not a Cider Brewery! Alewife in LIC has 4 pinball b-ball machines so they can’t be all bad!! !